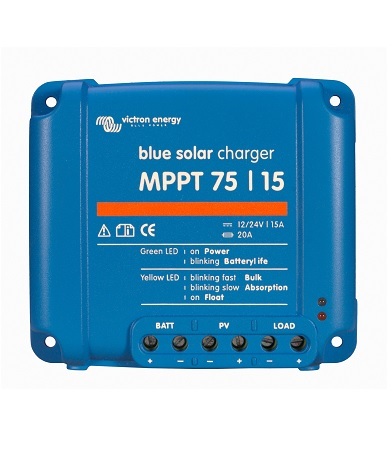 The MPPT solar charge controllers from Victron Energy come in numerous voltage, amp and connection configurations. 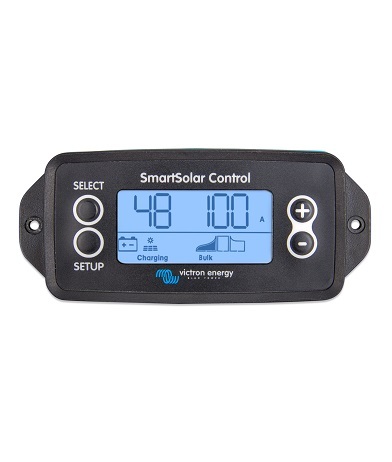 Select from the BlueSolar range which incorporates all the standard functions that are expected from a solar charge controller and the SmartSolar range which has extra functions such as Bluetooth communication and display panels. By adding the SmartSolar Control Display you will be able to check the status of your Charger and battery-storage at a glance. 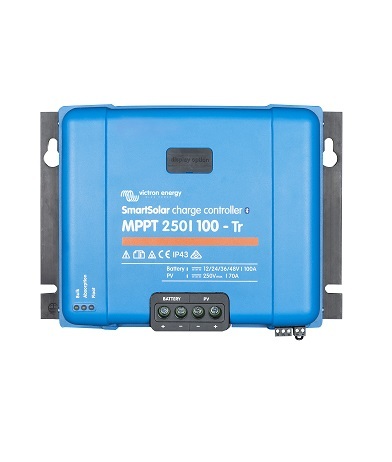 Simply plug it into the face of your MPPT charger to provide you with real-time monitoring and set-up capabilities. The control display plugged in to the MPPT solar controller is not a standard feature and must be ordered separately. Solar Charge controllers for use in all sizes of PV Solar Installations. Available from Max Voltage Ratings of 75V to 250V and Max current Ratings of 10A to 100A. Download the datasheets in the table below for further information. 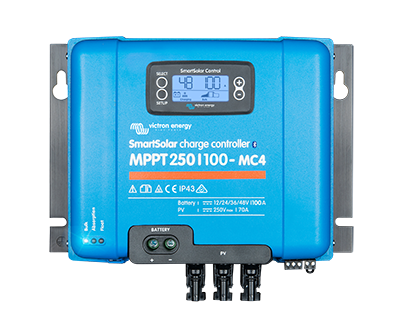 Click here for an overview of the solar charge controllers and for help in understanding the difference between MPPT and PWM.